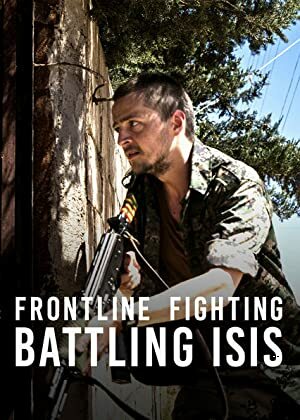 Frontline Fighting: Battling ISIS (2015) – What's New on Netflix Canada Today! The inside story of three untrained British volunteers with no family connections to the Middle east who heed the call to take up arms with Kurdish fighters to reclaim Rojava from the Islamic State. The self-proclaimed ‘Islamic State’ brutally besieged Rojava – the Kurdish region fresh from fighting for Syrian independence. The Kurdish YPG militia used social media to recruit foreign volunteers. Their call on Facebook was to “defend the civilised world against barbarism,” – thousands responded, including Jack from Bournemouth, Harry from Peterborough and Jim from Stoke. Filmed by three ex-soldiers, George Tyldesley, Mauricio Gris and Michael McEvoy who gained unprecedented access to these ordinary British fighters intimately explores their motivations and visceral experiences on the frontlines. They engage the enemy in intense sniper battles, close-range mortar strikes and face counter-attacks from ISIS. The men are unprepared for the raw atrocities of combat, the fierceness of battle and the death of their Kurdish co-fighters. Together they have a single-minded mission: fight to free the Islamic State stronghold of the Abdulaziz Mountains. The pairing of double BAFTA winner editor Mark Towns and five-time BAFTA winner Executive Producer Dan Reed turns kinetic, unique combat footage into unforgettable scenes with a cinematic feel and skilfully draws the characters of the foreign volunteers from the UK, Germany and USA as they venture deeper into the heart of the ground war against Islamic State.